Pack of 36 Purple Cupcake Decorations. These beautiful flowers are blushed with dark Purple on the petals and with a traditional pearl ball centre. 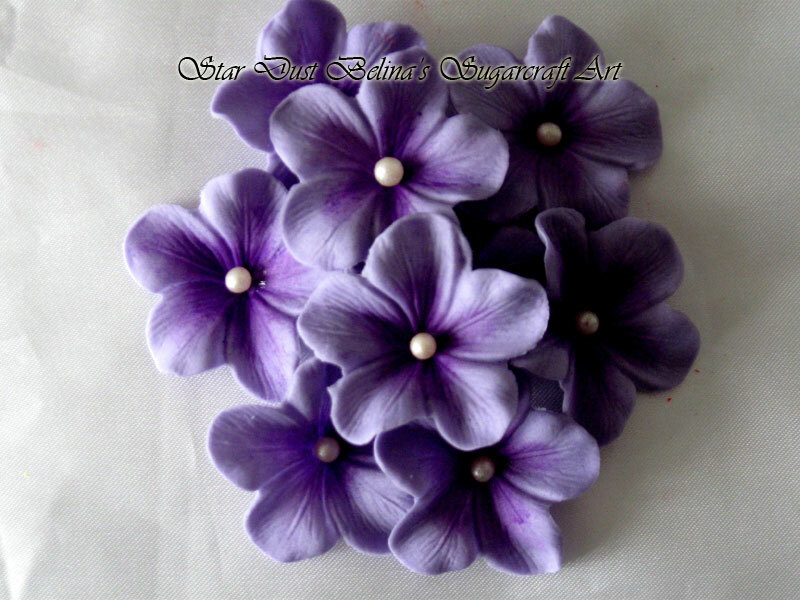 Perfect for the top of cupcakes.Each flower measures approximately 35mm.